Spread the news, the dawn of the dead is upon us! 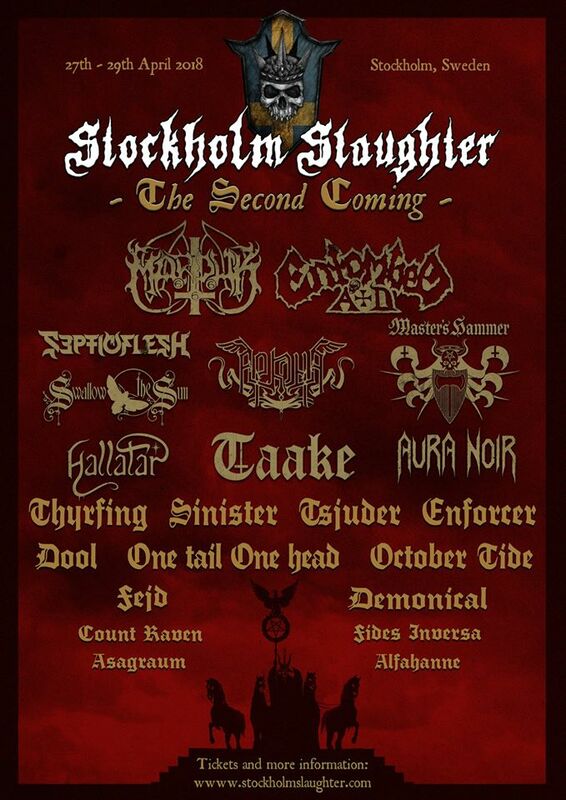 Scandinavian Death Metal legends confirmed – Entombed A.D., the latest addition to the line-up of Stockholm Slaughter! The band is to perform on Saturday night. As extreme we like our music, as much we disdain any political agendas, especially extreme ideologies of all types. As opposed to different blogs or newspapers, we do not have a political agenda but we do stand firmly for artistic freedom. 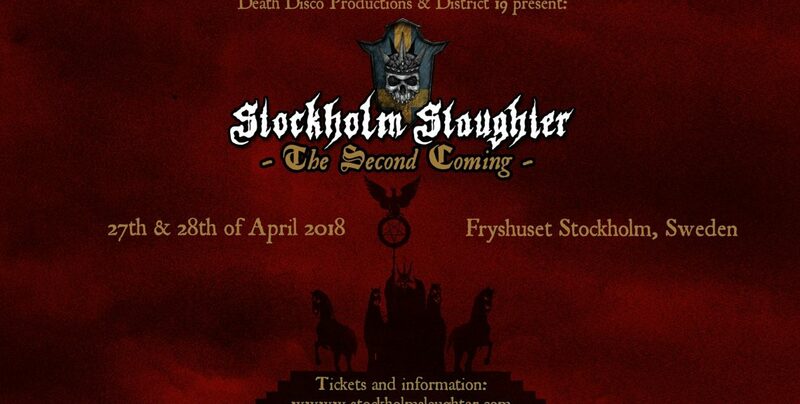 As previously reported, Marduk and Taake have been prohibited from performing at Fryshuset. We deeply regret this but have no choice but to respect their decision. As such, we have been toiling day and night to find a solution. 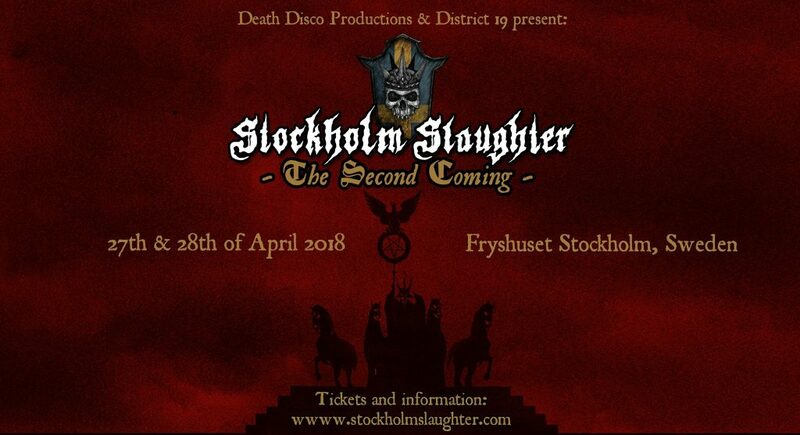 We are pleased to say that we found a Stockholm venue that agreed to host an early afternoon show with Marduk Official and Taake (Official) on Sunday 29th of April. We are aware that this means some visitors might need to make changes in their personal schedules. This is obviously most unfortunate but, under the current timeline, the only realistic solution to keep the line-up intact. We also feel that it’s very important to show them our support in these turbulent times. 2-day and Saturday tickets will obviously be valid for the Sunday show. An updated running order and more information will be published within the next days. Thank you for the shown support and see you in less than two weeks!